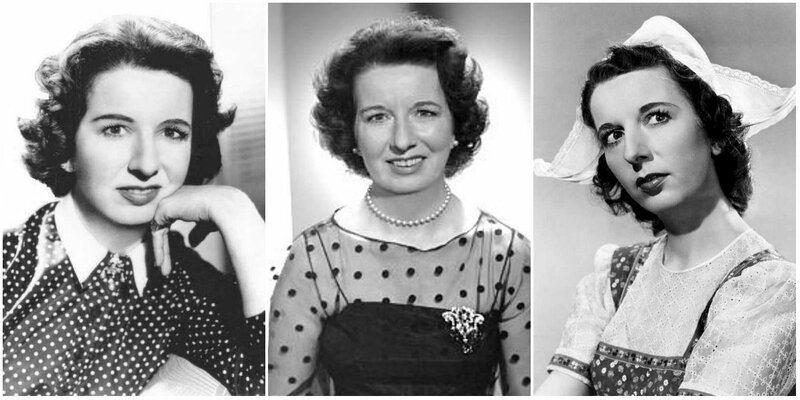 Mary Wickes was born Mary Isabella Wickenhauser in St. Louis, Missouri on June 13, 1910. She received her Bachelor of Arts degree from Washington University in St. Louis in 1930. She received the Distinguished Alumni Citation from Washington University in 1955. Later she was awarded an Honorary Doctor of Arts Degree from Washington University in 1969. A tall, lanky character actress, Wickes was a durable and invaluable comedy player of innumerable housekeepers, nurses and nuns. With her gawky frame, deliciously angular features and famous recessed chin, she wisecracked, busybodied and nosed her way through almost 20 Broadway plays, hundreds of stock productions, ten TV series, countless small-screen guest spots and nearly 50 feature films. Wickes began on stage in the early 1930s and acted in five plays either written or directed by George S. Kaufman. Her breakthrough came when she hilariously played Miss Preen, the endlessly harassed nurse to the vituperative Sheridan Whiteside (Monty Woolley) in Kaufman and Hart’s The Man Who Came to Dinner (1939–40). Wickes later recreated her most famous role as her film debut in 1941, in a radio production starring Fred Allen and in a 1972 TV version with Orson Welles. Wickes never got married and she never had any children. She put all her money and estate in the establishment of ‘The Isabella and Frank Wickenhauser Memorial Library Fund for Television, Film and Theatre Arts’ at Washington University in St. Louis. During the last years of her life, Mary suffered from several ailments and health issues. She had a kidney failure, low blood pressure, anaemia, respiratory problems, an unknown stage of breast cancer, gastrointestinal bleeding etc. While in the hospital, Mary also suffered from a broken hip due to an accidental fall. On October 22, 1995, Wickens took her last breath. She was 85 years old. Mary Wickens rests peacefully at the Shilloh Valley Cemetery in Shilloh, Illinois. She was interred beside her parents.